I love scarf activities! I think it’s the colors and the movement that reminds me of flying kites in the park with my dad when I was a kid. I like to use scarves as part of my music class lessons, extension activities, and I put my scarf activity cards in the Sub Tub. I’ve written a lot about using creative movement activities in the music classroom to support learning goals. Here are 8 ways to use scarves in the classroom. 8 WAYS TO USE SCARVES? Yes! Creative movement is the top way to keep your students engaged. Why not hand them a scarf as they walk into your classroom? DON’T KNOW WHAT TO TO WITH THEM? THE KIDS ARE OUT OF CONTROL? Yes- these are GOOD questions and REAL problems. And I’ve had them too! Still, I’m always amazed by the fact that the children are truly fascinated by a piece of sheer fabric. As soon as I hand them out, students begin to fold, roll, and wave the bright shiny scarves. They love the colors, the texture and the fact that you can see through them. I myself remember being in awe of any fabric that glittered or was sheer or silky. I also know that Preschool, P.E. , Special Needs and Music teachers love to use them in their classrooms. So I came up with a list of twelve creative ways to use scarves in the classroom. And that’s why there’s a FREE SCARF ACTIVITY RESOURCE for subscribers to the FREE RESOURCE LIBRARY. It’s true-every teacher in the preschool and elementary setting could use scarves to help their kinesthetic (physically active) learners. Keep reading to get the FREE SCARF ACTIVITIES BOOKLET. Scarves can be used in so many fun ways to enhance your creative movement activities and make your lessons more interactive. Scarves can be used in any classroom. Music, P.E., Drama, Preschool, Elementary Classroom, Special Needs, Reading and other specialty classrooms will benefit from using scarves. Because I explain in detail why creative movement is so important to student learning. – is a natural way for children to respond to music. -is how many children learn. -makes aural sound more real. Here are some more reasons why scarf activities are important to incorporate into your music, movement and literacy activities. When children make BIG movements with arms and legs, they are encouraging the development of gross motor skills. Children are more apt to follow directions when they SEE and HEAR directions. Children develop good reading skills with CROSS BODY MOVEMENT. Children develop the ability to form letters and shapes and understand directional concepts. Movement encourages artistic and creative thinking. You may be looking for creative and diverse ways to use the tools and props you have on hand in your classroom. That’s why I’ve been compiling a list of Fun Scarf activities you can use in your music class. That’s a lot of information and how does it apply to your classroom? I’m naturally inclined to use creative movement-but if you struggle with it-or don’t know how to integrate it with your current curriculum, keep reading to find some great tips. JUST THINK! These are FREE tools and activities you can use in your classroom TOMORROW. And if you SUBSCRIBE to the FREE RESOURCE LIBRARY you’ll find PARACHUTE, SCARVES, BEAN BAG and STRETCHY BAND Activities. I feel it’s important that my students are listening to Classical music as much as possible. I love watching their faces-the surprise- when I play it for activities. One way to use scarves is with classical music. It’s such a great way for them to have the experience of listening and moving which will make it more memorable because you are giving them opportunities to listen and move at the same time. Swishing is a great cross-body movement action. How about swishing like: windshield wipers, washing windows, clock pendulums, steady beat movement. Or, showing “side to side”, “here and there”, “me and you”. I love Patriotic Music and scarves are perfect for students to wave around as they sing, move and/or listen to John Phillips Sousa Marching band music. This is a complete playlist of music to march and move. 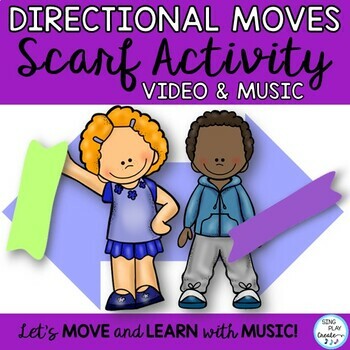 MOVEMENTS- The FREE SCARF MOVEMENT RESOURCE has 15 movement cards and 10 activity ideas you can use with your own musical selections. When you Subscribe you can have it for free. This is a traditional game song from China. Lovely dancing and how to play the game. Some of the lessons that I’ve found work well for scarf activities are: TIMBRE, TEMPO AND EXPRESSION. Think loud/Soft, Fast/slow, Long/Short, Happy/Sad, Thick/Thin. Use to demonstrate HIGH/LOW. I like to get out the scarves when we do vocal explorations in our music class. The students love to move their scarves up and down to demonstrate High and Low. Use to demonstrate LOUD/SOFT. How about using scarves with your Peter and the Wolf Lessons? Use to demonstrate TEMPO. Pretend play is an excellent way to get your preschool through second graders to understand and show music concepts. How about pretending the scarves are rabbits and turtles (fast and slow) and have them move to the music. When the music is slow, the turtle scarves move, when the music is fast the rabbit scarves move. You could ask students to move with their scarves or have them do the activity sitting on the floor. Ask the students to come up with their own animal “TEMPO” and have them share with their scarves. Use to demonstrate FAST/SLOW. Pretend to be “BEES” to teach Fast/Allegro “Flight Of The Bumble Bee”, Rimsky Korsakov and “Carnival of the Animals” Camille Saint Saens. Here are some of my favorite classical pieces. Just click here to find all of these music selections. In the Free Resource you’ll find movement cards with activity ideas that you can use in your music classroom. Have the students hold their scarves in one hand and then hold the scarf of the student in front of them to make a chain. Perfect for train songs and activities and teaching students how to walk in line. Make puppets out of the scarves by scrunching them together with a little puff sticking out the top for the “head” of the character. Let students create or act out stories with their puppets. Use scarves with smartboard or big screen activities. Ask students to use their scarves to follow the words across the screen. Use with any literacy songs or stories and have students bounce on the words as they read and/or sing them. Use the scarves as part of the scenery, props and costumes in a play. Wind- blue scarves moving up and down. Water- Two students holding each end of blue scarves wiggling across the floor. Rain and Snow- Tossing scarves across the stage. Use the costume ideas and props ideas from the literacy section. 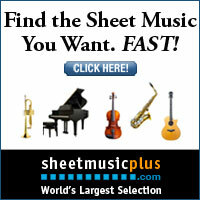 Create movement patterns using the scarves, for each section of a song that your group is performing. C SECTION- HOLD THE SCARF IN TWO HANDS WITH THE SCARF STRETCHED BETWEEN TWO HANDS. MOVE UP/DOWN AND SIDE TO SIDE ON THE BEAT OF THE MUSIC. Directional moves incorporate patterns that will have students moving across the mid-line of the body, from left to right (like reading) and tracing numbers and shapes. And using scarves to tell stories is a fantastic way to keep students actively learning. You might want to look at my SCARF VIDEO RESOURCE that specifically connects MATH and MUSIC with MOVEMENT. Students love to count along with the video and name the shapes as they draw them in the air with their scarves. Why not use a scarf to conduct your younger aged students? Let students take turns using a scarf to “lead” the group in songs the class is working on for a program. Use a scarf as a “silent cue” to let students know that you need their attention, it’s time to clean up, it’s time to link up, it’s time to change stations. Pass out the scarves and then group your students by color. Allow them to tie the scarves loosely on their wrists or around the waist to keep track of teams. Use the scarves to organize stations and activities. This tip is to help those students who have difficulty holding still and being quiet. Try giving them a scarf and have them play with it during “quiet time”. Use quiet music and allow NO TALKING. You can take the scarf away if it doesn’t work for them. Over at Bear Paw Creek you can read more ideas on how to use Scarves in your classroom. SUBSCRIBE to the FREE RESOURCE LIBRARY and get the FREE RESOURCES for SCARVES, PARACHUTES, BEAN BAGS and STRETCHY BANDS. Choose 1 way that really resonates with you and go with it. Later you’ll find that you will integrate more movement activities with scarves that fit your teaching style. I really want MORE TEACHERS to use CREATIVE MOVEMENT in their classrooms. I KNOW that they will help their students by getting their students moving! I’d love to hear how you’ve used any of the eight ways to use scarves in the classroom. YOU’LL WANT TO CLICK HERE to SUBSCRIBE to the FREE RESOURCE LIBRARY to get the SCARVES, STRETCHY BAND, BEAN BAG AND PARACHUTE FREEBIES. You’ll also receive a monthly free resource and weekly newsletters with more tips and tricks you can use in your classroom today.